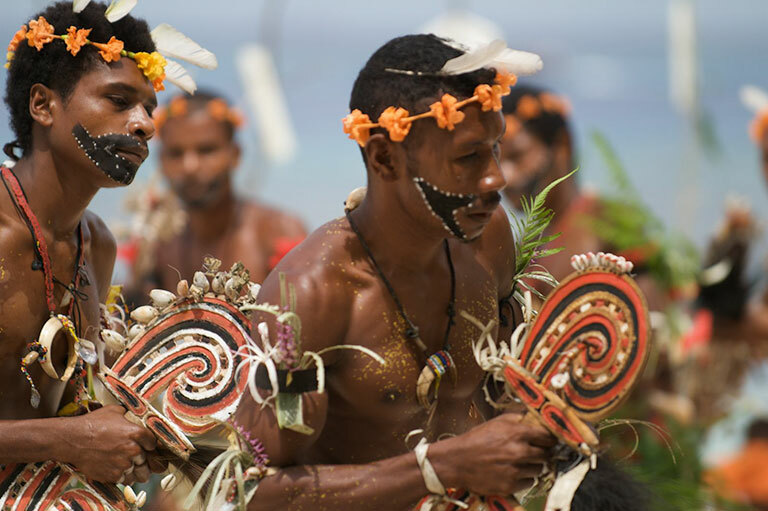 We were delighted when our clients asked us to plan a two-week Papua New Guinea expedition for them. With the most diverse anthropology on Earth, this remarkable nation is also blessed with extremely rich biodiversity. For expedition ships, particularly those wanting to access remote coast areas for snorkeling and diving, it really is a tropical paradise. Although there are safety issues, these can be mitigated with an experienced Expedition Leader who has the ability to converse in ‘Tok Pissin’, the language of Melanesia. More often however, visitors are often humbled by the warmth of the welcome they receive rather than exposed to any real threat or danger. Our expedition was coastally based off a large mega-yacht and spent predominantly cruising remote areas planned as part of the clients’ specific interests. An overnight ‘side-expedition’ was staged into the Highlands by utilizing a privately chartered aircraft. Papua New Guinea is well off the beaten trail used by most private yachts, but the rewards for those seeking an ‘out of this world’ experience will not be disappointed. The delights, both above and below the waves, are simply awesome.